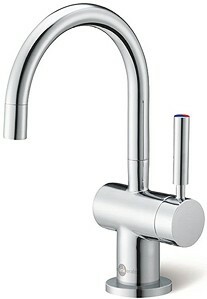 InSinkErator Hot Water > Steaming Hot & Cold Filtered Kitchen Tap (Chrome). 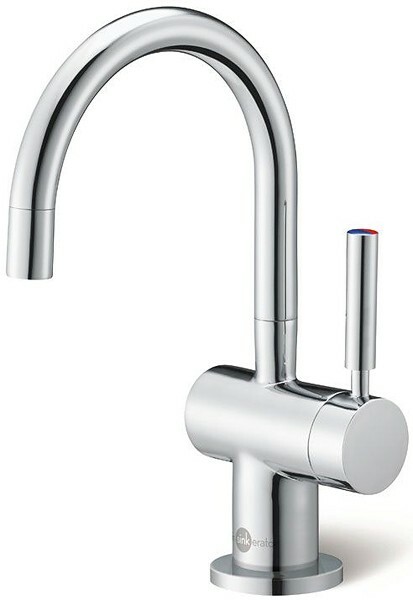 HC3300 Kitchen tap with instant steaming hot and cold filtered water and safety handle. Chrome finish. Instant heater and filter included. 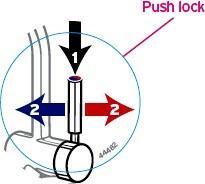 Single lever handle with safety hot push locking mechanism and swivel spout. Can be used for cooking, hot and cold drinks, baby care and cleaning. Hot and cold filtered water. 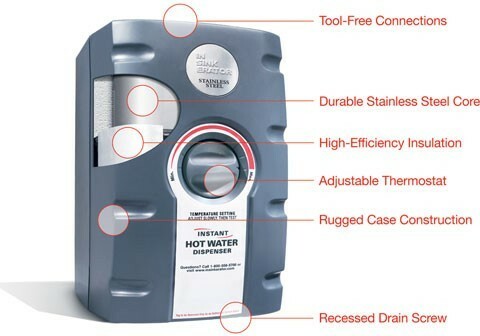 Up to 100 cups of steaming hot water per hour. 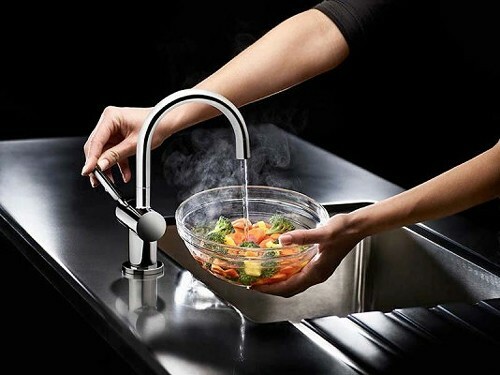 Filter reduces chlorine, lead, and other unpleasant tastes, chemicals and odours from the water.